Cuicocha volcano is a beautiful caldera in northern Ecuador 100 km north of Quito. The volcano has a 3 km wide lake filled caldera and sits at the feet of the sharp-peaked (extinct) Cotacachi stratovolcano. There are gas emissions from several locations in the caldera lake at present indicating the volcano is still active. Location of some of the earthquakes recorded. Credit: IGEPN. The geophysical institute of Ecuador reports that seismicity at Cuicocha caldera has increased. 60 earthquakes, up to a magnitude of 2.5 have been recorded in the last two days. All are of the volcano-tectonic (VT) type, meaning they are caused by rocks breaking.  The significance of this activity remains to be seen, but as it stands there is no concern; the volcano last erupted about 1,370 years ago; much more intense activity would be expected before any eruption.